Tourism is booming in the Philippines. Every year sees more and more visitors as word spreads about all that the Philippines has to offer to vacationers. Beautiful beaches and tropical environment continues to draw visitors from around the world. 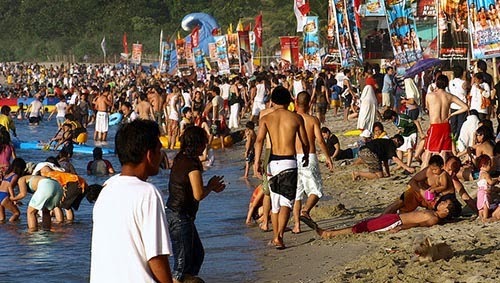 According to Tourism Secretary Ramon Jimenez, all indications are that the number of visitors swarming to the islands in 2014 will reach 6.8 million. Jimenez has been tracking the numbers each quarter, and a strong January and February has put the Philippines on the right track to a strong year for visitors. Jimenez attributes part of the increase to a strong marketing campaign designed to attract visitors globally. It seems to be working as they expect to exceed one million visitors by the first quarter. February alone exceeded 500,000 visitors, although the final numbers are not yet confirmed. But it is a good indicator of what to expect in total visitors by the end of the year. The Philippines have 7,107 islands that offer something for everyone. Whether it's swimming with dolphins, searching for coral, or just enjoying some of the most beautiful beaches in the world with sparkling white sand and blue waters, the Philippines has it all, as more and more visitors are discovering every year.